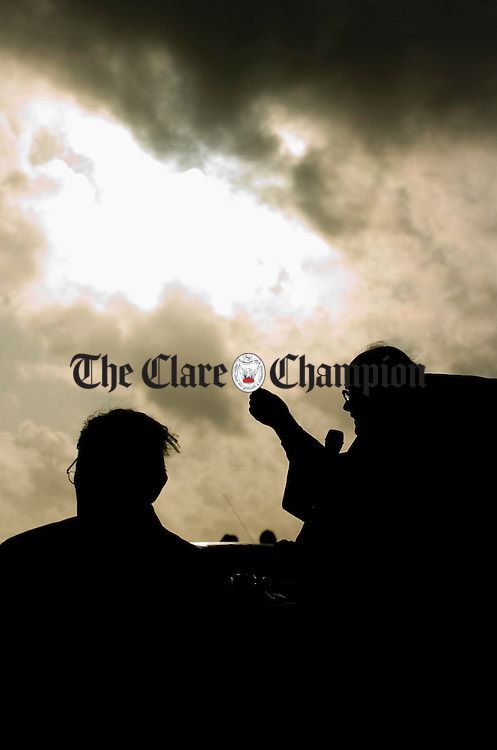 Doonbeg Parish Priest Fr. Joe Haugh celebrates the annual open air mass on a windy July evening at St Senan's Altar, Tullaher, Doonbeg. Photograph by John Kelly.